Aiden McFarland worked in the amusement park industry in Los Angeles and was on the verge of a mental and physical breakdown due to his stressful job and long commute. He decided enough was enough and turned his side hustle into a full-time, work-at-home business in which he is a virtual assistant and business consultant for artists and creatives. Today, McFarland enjoys a much more relaxed schedule and loves what he does, find out the details of how he achieved his new relaxed life in this episode. 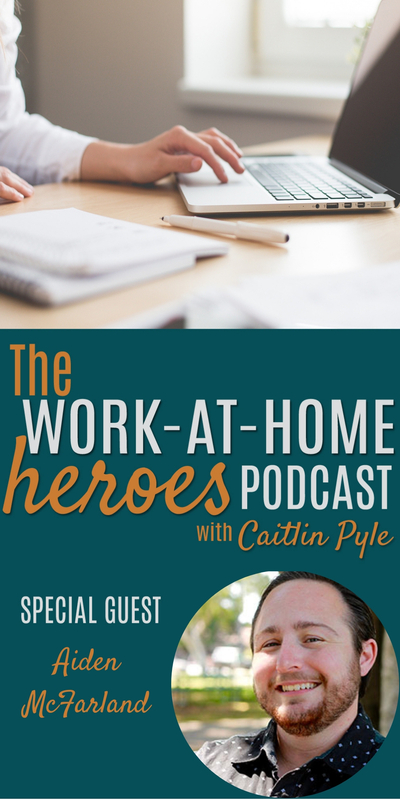 Read the transcript of the Work-At-Home Heroes podcast Episode 42 here. Make sure you sign up for the Work-At-Home Summit where you will get lifetime access to all of the amazing content the summit has to offer! Make sure you join the Work-At-Home Heroes Facebook group! Have a question for Aiden? Visit his website today and ask him a question! Got a question for Tim about this episode? Head over to the Work-At-Home Heroes Facebook page and ask on this dedicated thread! Previous Wardrobe stylist turns her brick-and-mortar business online and finds passion in helping female entrepreneurs dress for success! Next From office manager to successful VA, this mom took charge of her own income story — and the rest is history!